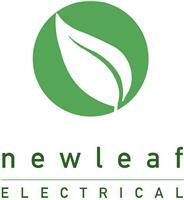 New Leaf Electrical - Electrician based in New Malden, Surrey. Please feel free to visit and follow our Instagram page. New Leaf electrical is an electrical contractors based in Surrey, covering all surrounding areas and all over London. We are a business that prides ourselves on the relationship we have with our customers and always providing a high quality service, no matter how big or small a job is. We are happy to offer free advice and expert knowledge to our customers prior to any works that take place and also offer free quotations.